PFERD offers the winning combination of quality tools, drives and personalized consultation that will deliver an ideal solution for your surface finishing and material cutting tasks. Find the right tool with our product finder. Simply enter an application, a material and/or a drive type. You are also able to refine your search using filters. PFERD customers benefit from many additional services. Here you can find a selection of the services that contribute to your added value when working with PFERD. The PFERD Tool Manual contains more than 8,500 tools and valuable knowledge related to surface finishing and material cutting. PFERD is leading in the development, production and support, as well as in the distribution, of tool solutions for work on surfaces and material cutting. We will answer your questions on different applications, materials or tool drives. Can be used with or without a needle file handle thanks to the forged tang. 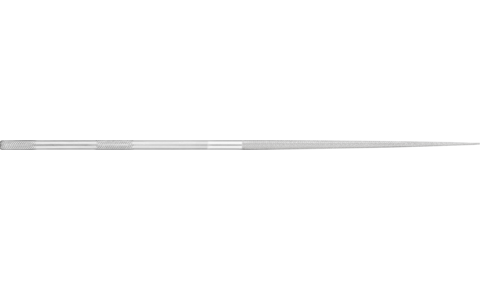 PFERD needle files are ideally suitable for work on the smallest surfaces, breakthroughs, geometries, profiles and radii. We have discoverd that you are coming from another country. Do you want to switch to the site for that country?